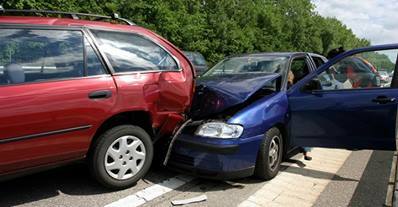 Recovering after a collision is painful both physically and financially. The pain of medical treatment following by the pain of bills piling up from all the doctor office visits, procedures, and surgeries strain even ample budgets. What happens when your injuries are so severe that you are unable to work to pay these bills? How will you take care of your family? If the injury victim was your child, it is your responsibility to ensure that they receive the best available medical treatment for optimum recovery. But, this will be very expensive. How will you pay the bills? Thankfully, most drivers carry insurance on their vehicles. but unfortunately for the injured, many drivers carry minimum limits which will only minimally compensate those affected by the collision caused by that driver. Too often we find that the coverage of the at-fault driver is woefully insufficient to cover medical expenses, not to mention the other losses such as lost wages, past and future, and pain and suffering. This is why one should always carry the highest available amount of uninsured and under-insured motorist coverage, as well as med-pay coverage on their own policies. West Virginia law requires insurance companies to act in good faith toward their insured and those who are injured by their insured clients. Unfortunately, even adjusters who truly care about people are under extreme pressure from the corporate climate to delay, decrease, and deny claims for a cost savings for the company. A skilled personal injury lawyer knows how to handle the insurance company’s tactics and can still obtain fair compensation for injury victims. If the facts of your case and the persuasiveness of the attorney are not enough to sway the insurance company to act in a just and fair manner to compensate you and your family for injuries which were no fault of your own, you have the right to a trial by jury. Please keep in mind though, the statute of limitations in West Virginia is two years from the date of the accident. If you try to file a claim after that date, it is just too late and you will receive nothing. Also, the longer you wait to file your claim as you approach that two year mark, the less chance you have of proving your case. Witnesses may become unavailable, evidence may be lost, and people’s memories become fuzzy as to the facts of the collision. Your best strategy for your best financial recovery is to contact a National Board Certified, Super Lawyer rated trial lawyer today for a free initial consultation. Our lead attorney, Jeff Robinette, has handled thousands of vehicle collision claims since 1991 and has a proved track record of success. He has represented the insurance companies in the past, and now presently uses all of his knowledge to ensure that the truly injured receive the money they need now to receive the best treatment and to move forward with their lives. Call and discuss your case with a lawyer today: 304-594-1800 or after hours, 304-216-6695.